There is a common thread in advancements in cloud computing – they enable a focus on applications rather than the machines running them. Containers, one of the most topical areas in cloud computing, are the next evolutionary step in virtualization. Companies of every size and from all industries are embracing containers to deliver highly available applications with greater agility in the development, test and deployment cycle. 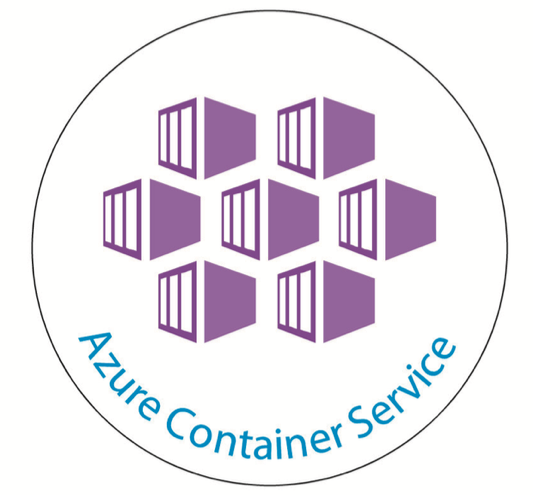 Azure Container Service (ACS) is a service optimized for container applications. Today we are pleased to announce a number of improvements to ACS, most notably Kubernetes is now Generally Available as one of three choices of orchestrator. Azure is the only public cloud platform that provides a container service with the choice of the three most popular open source orchestrators available today. ACS’s approach of openness has been pivotal in driving the adoption of containers on Azure. Enterprises and startups alike recognize the momentum around ACS and the benefit it brings to their applications, which includes agile deployment, portability and scalability. Kubernetes now generally available (GA) – We announced preview support for Kubernetes in November 2016. Since then, we have received a lot of valuable feedback from customers. Based on this feedback we have improved Kubernetes support and now move it to GA. For more details, check out Brendan’s blog titled, "Containers as a Service: The foundation for next generation PaaS". Preview of Windows Server Containers with Kubernetes – Coinciding with latest Kubernetes release, adding support for Windows Server Containers and coupled with enterprise customers expressing strong interest in adopting and going into production with Windows Server Containers, this is a great time to provide additional choice in orchestrator for Windows Server customers using ACS. Customers can now preview both Docker Swarm (launched in preview last year) as well as Kubernetes though ACS, providing choice as well as consistency with two of the top three Linux container orchestration platforms. DC/OS 1.8.8 update – We are updating our DC/OS support to version 1.8.8. DC/OS is a production-proven platform that elastically powers both containers and big data services. ACS delivers the open source DC/OS while our partnership with Mesosphere ensures customers requiring additional enterprise features are catered for. Key features of 1.8.8 include a new orchestration framework, called Metronome, to run scheduled jobs. This has been added to a new Jobs tab in the DC/OS UI, along with a number of other UI improvements; and the addition of GPU and CNI support in the Universal container runtime. Based on Apache Mesos, DC/OS is trusted by Esri, BioCatch and many other Fortune 1000 companies. We have worked with Mesosphere to produce an e-book called "Deploying Microservices and Containers with ACS and DC/OS." We love hearing from our customers about how they are using containers on Azure and the benefits it brings to their application development lifecycle. BioCatch, a startup based out of Israel, builds real time fraud prevention software that went from a PoC into production on ACS in a matter of weeks. Stories like this show the power of container-based applications and get us excited about the possibilities – and like always, we would love to receive feedback and suggestions. 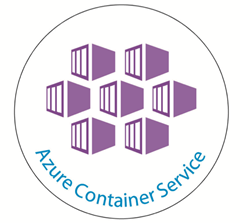 Use the tag “Azure Container Service” on Stack Overflow to send us your questions. These updates will be available starting tomorrow, February 22nd. You can easily get started deploying an Azure Container Service cluster using the Azure portal or the recently released Azure CLI 2.0 by using the az acs command. For example, this tutorial shows you how to deploy an ACS DC/OS cluster with a few simple Azure CLI 2.0 commands.